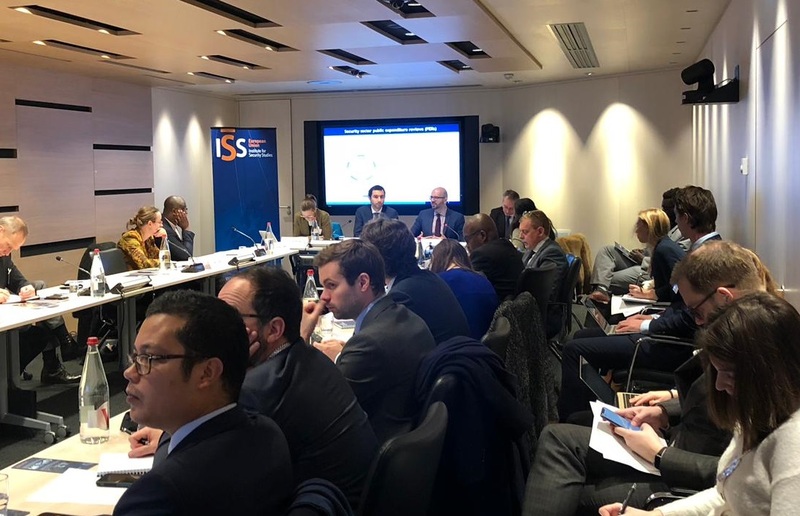 On 14 November 2018, the EUISS and the World Bank jointly organised a workshop on 'New approaches to delivering Security Sector Reform in sub-Saharan Africa'. This technical meeting took place at the World Bank office in Paris and allowed participants from international institutions, donor and recipient countries, civil society, NGOs and the SSR expert community to share country experiences and operational solutions on innovative SSR approaches. The first session discussed the role of public expenditure management and review in SSR programs, including a presentation of the joint UN-WB report Securing Development: Public Finance and the Security Sector (2017) and its implementation in pilot countries in Africa. The second session addressed the use of SSR as an instrument to help prevent conflicts and build resilience, identifying early entry points that can help mitigate conflict risks. The initiative was part of the EUISS Africa research programme.